After 30 years working on their respective ongoing music projects, Vince Clarke (Erasure / Yazoo / Depeche Mode) and Martin L. Gore (Depeche Mode) come together for the first time since 1981 as VCMG to release a brand new album preceded by a series of EPs. VCMG is the fruit of six months of initially tentative discussion and subsequent enthused collaboration where Vince and Martin, both influential as pioneers in electronic music, get to exercise their lifelong love of the genre as the techno inspired VCMG. 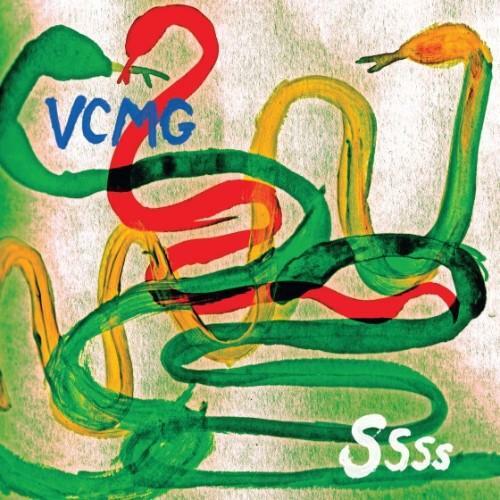 VCMG released one of 2012's most anticipated musical collaborations with the album SSSS on Mute on 12 March 2012. It marked the long awaited reunion of electronic pioneers Vince Clarke (Erasure/ Yazoo/ Depeche Mode) and Martin L. Gore (Depeche Mode), who joined forces for the first time in over thirty years to craft a 10-track album which demonstrates their mutual love of electronic music. After initial tentative discussions, and a meeting at Short Circuit presents Mute festival in London, where they both performed, these two influential musicians and songwriters worked in a typically unique way. Clarke and Gore worked alone in their respective studios, communicating only via email and exchanging files until the album was ready. The album includes the 12 EP1/Spock, described by The Quietus as 'one of the best tracks of 2011', plus EP2/Single Blip and EP3/Aftermaths. SSSS, written and produced by Vince Clarke and Martin L. Gore, was mixed by Timothy 'Q' Wiles, recorded and engineered by Sie Medway Smith and Vince Clarke and mastered by Stefan Betke (aka Pole).